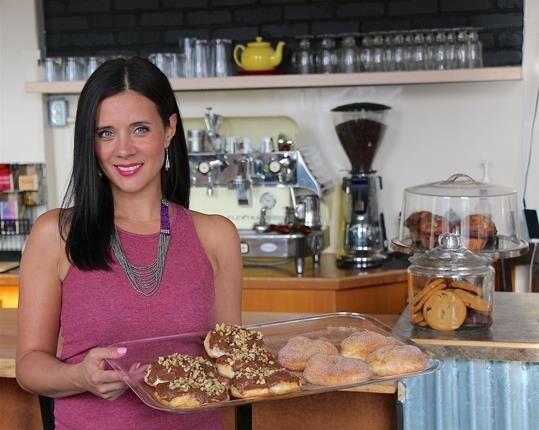 Christa Bruneau-Guenther - Feast Café Bistro Ltd.
My name is Christa Bruneau-Guenther proud owner of Feast Café Bistro; a neighbourhood cafe located in Winnipeg's historic West End. Feast Café Bistro offers breakfast, lunch, dinner and catering, serving modern dishes rooted in traditional Indigenous foods. I pride myself on serving seasonal, fresh and local ingredients with unique dishes like Manitoba Bison Burgers, the famous Pow Wow Taco, Pickerel Sliders, Blueberry Bison Ribs, Salads with Wild Rice, Seeds & Berries, Roasted Butternut Squash, Bannock Pizza, fresh baked goods, bannocks, desserts, and more! I've spent over 15 years refining my cooking skills and expanding my knowledge of our Indigenous foods. My creativity and passion also stems from gardening, teaching, owning and operating a licensed daycare for 9 years and, of course, cooking for friends and family. Discovering there are only a handful of restaurants across the country focusing on First Nation foods and culture, I took a leap of faith and Feast Café Bistro was born in 2015. I found First Peoples Economic Growth Fund (FPEGF) on the internet and was pleased to discover the many resources offered to First Nation entrepreneurs. I spoke with FPEGF staff and they were very excited to hear about my business idea which was very encouraging. This began the application process. I received the business plan support which was very helpful to take my business to the level it needed for success. FPEGF staff were both positive but very realistic, they asked me tough questions that needed to be asked to understand the hard work it was going to take to open a restaurant. The support and dedication all the staff at FPEGF provided is a definite result of my success. I am grateful and blessed that they believed in my abilities and business. My staff mean the world to me, my priority is to hire Indigenous peoples, who currently comprise 80% of all the staff at Feast Café Bistro. I want all our customers to feel the spirit of our culture through the food, seasons and enjoy the abundance that our land has to offer. Feast Café Bistro has become a pillar in the community through local initiatives, business tours, the arts, training and mentorship for student practicum needs, just to name a few. I feel a responsibility to inspire and empower people in the areas of business, education, Indigenous food sovereignty, and to restore pride in culture. Having received extensive local, provincial and national press coverage Feast Café Bistro has been welcomed with rave reviews. I look forward to a continued relationship with FPEGF as Feast Café Bistro continues to grow and evolve. My name is Ashley Houle, I am a Red Seal Journeyman Plumber and Gasfitter and proud owner of A Plus Plumbing and Heating in Dauphin, Manitoba. Originally from Ebb and Flow First Nation, I graduated from the Piping Trades Program at Assiniboine Community College in Brandon, Manitoba in 2005. In 2014 I was presented with a once-in-a-lifetime opportunity when my employer Keith Durston and his wife Anne announced they were ready to retire and sell their business. This kicked off a journey of researching funding opportunities, business plans and all things relating to small business. Through our research my wife Jessica and I came across First Peoples Economic Growth Fund (FPEGF) and this became our focus when preparing a business plan. We worked with Loans/Account Manager Fabian Sanderson and BCF Analyst Robyn Wozney at FPEGF from the beginning and they were very supportive and knowledgeable. The fact that they were so helpful, believed in us and wanted our plan to succeed made a world of difference. Applying for and receiving funding did not happen overnight. We really had to do our homework and come up with a viable business plan. We submitted our business plan, we met all the requirements of the programs and we were approved. The process was a nine month journey of hard work and determination. FPEGF helped turn our dream into a reality and in March 2016 we celebrated one year as owners of a successful plumbing and heating company. 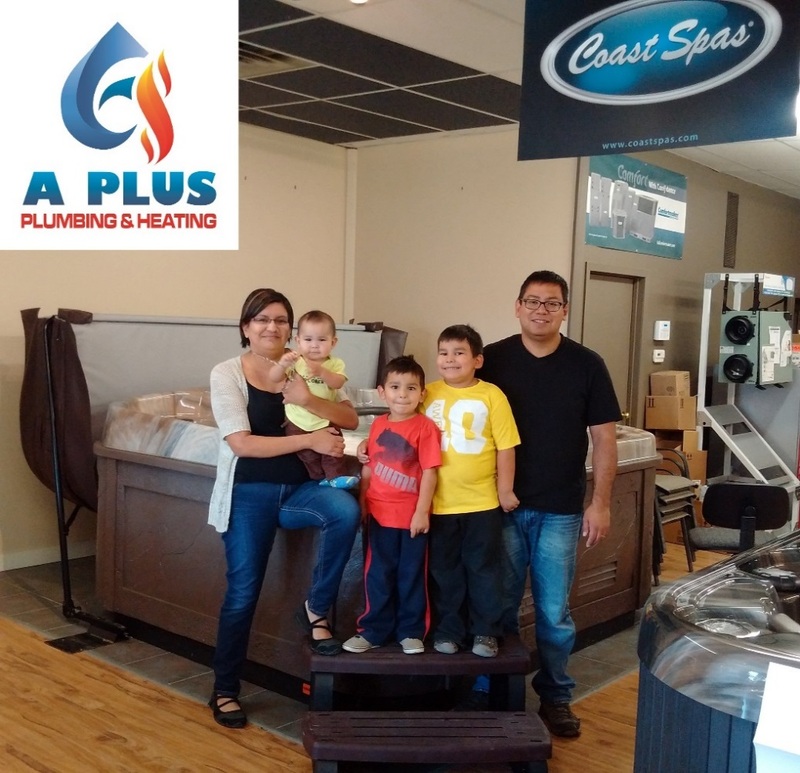 Located in Dauphin and serving the Parkland and surrounding area, A Plus Plumbing and Heating specializes in residential and commercial plumbing and HVAC. Additionally, we are a dealer for Coast Spas and employ four full-time staff including a journeyman and an apprentice. We are extremely grateful to be a part of the FPEGF family and look forward to working with them for years to come. My name is Michelle Dumas, from Sagkeeng First Nation, and I am the proud owner of "The Collectors Club" tattoo studio located at 310 Nairn Avenue in Winnipeg, Manitoba. 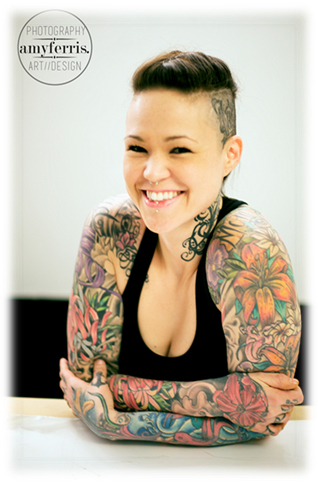 Tattooing is one of the most sought out practices for people trying to overcome depression, dealing with loss, or even celebrating life events like the birth of a child, a change in career or a family vacation. Self-expression is so personal, it touches peoples in ways that nothing else can and can literally change lives. In a way it is its own form of therapy and in other ways it's just a means of developing confidence. I am happy to witness the impact that my business has on the many lives it touches on a daily basis and I will continue to look forward to seeing this impact for many more years to come. The purpose of my business is to provide custom art work via body modification, creating works of art to the public through various other art mediums that seek self-expression through art and creativity. The Collectors Club also offers an art studio where resident tattoo artists can continue to grow and expand their passion to continually advance our artistic skills and pursue professional development. As a young Aboriginal single mother, I found that there are many barriers to overcome when starting your own business. I first learned of First Peoples Economic Growth Fund (FPEGF) while doing online research for funds available to Aboriginal entrepreneurs, one of the many barriers that I was facing in my business endeavour. I was denied acceptance into various programming and funding due to my lack of financial securities, business experience, among other more stereotypical biases. The parameters of the program and financial conditions of FPEGF funding are by far the best available to anyone who is starting a business and provided me with LESS stress on my financial obligations so I was able to focus all my energy on starting my business, which is now well-established and doing amazing, thanks to the help of FPEGF. It's been just over a year since I have started my business and I have already expanded. If I had not received financing from FPEGF I would probably not be where I am today. Having their continued support has kept me motivated to keep striving towards new and existing business goals. I would definitely apply for funding with FPEGF in the future and highly recommend them to anyone. I am Trevor Charrier and I am a member of Fisher River Cree Nation. I am the owner of First Nation Builders & Supplier located at Fisher River, Manitoba. There is a need in providing quality affordable homes to First Nations as well as an opportunity to train and employ skilled community members in our communities. This is where the dream of First Nation Builders & Supplier was born. I started the process with First Peoples Economic Growth Fund (FPEGF) to gain a competitive edge and turn my dream into reality. It was positive and productive dealing with other business-oriented minds and people who could see my vision. In July 2015 with the support of FPEGF as well Fisher River Chief, Council and Board Committees, First Nation Builders & Supplier became a reality. Today we continue to grow the business with the same goal of meeting or exceeding standards in hopes of increasing the housing standards for First Nations by First Nations. Our 8,000 square foot heated shop can handle four 1,200 square foot homes at a time. Due to the close proximity of our homes and being built in a heated shop we can eliminate weather-related down time, thus decreasing our costs and increasing efficiency and productivity. This also allows us to keep a close eye on quality control. First Nation Builders & Supplier isn't just about growing our business. We pride ourselves in providing quality housing at affordable prices. Our savings are passed onto our customers. "People Before Profit" as we say. We also employ and apprentice local community members. We want to help grow the community as well. Money earned in the community is being spent in the community. This helps keep and possibly grow more jobs in the community. When we work together to provide a product to be proud of everyone benefits. My name is Tim Sweeny, a proud Band member of the Cross Lake First Nation who has resided in Thompson, Manitoba, for the last 9 years. It has always been a dream of mine to one day have my own aviation charter service. On June 15, 2009, with the opening of Creeway Aviation charter service out of Thompson with two Piper Navajo aircraft, I can reflect back on the journey I have taken and gain satisfaction in the realization of a dream come true. I started this journey 15 years ago by obtaining my pilot's license in 1994 and my Aircraft Maintenance Engineering License in 1998. I then worked for various companies gaining valuable knowledge and experience in all aspects of aviation. I first started Creeway Aviation in 2006 by building an aircraft hangar in Thompson and opening up an aircraft maintenance shop. In 2008, I decided to expand and began the process of applying for an Air Operator's Certificate through Transport Canada and started looking to purchase an aircraft. This lead to where I am now. I can say that it has been difficult at times with much personal sacrifice from myself and my family, but I have not done this all on my own. With the support of family, friends and organizations like FPEGF, it became possible to purchase an aircraft and develop the Aircraft Charter Operation. FPEGF's professionalism, guidance and financial support, provided to my business, helped me to leverage other financing. Without companies like FPEGF, it would have made the process nearly impossible as conventional lenders were less apt to take a chance on Creeway Aviation. FPEGF is a financier that gives First Nations people real possibility and opportunity to achieve their goals. I am truly grateful for the time, assistance, flexibility and the belief in me to accomplish my dream that the staff and management at FPEGF put in. Thank you! My name is Angie Zachary and I have been a Professional Freelance Makeup Artist for over 10 years. I have always had a passion for makeup and eventually started teaching at a beauty college in Winnipeg. It wasn't long before I realized that I could start Winnipeg's first makeup school, makeup studio, and specialty boutique to expand my mobile services. That's when The Be•YOU•Tee Factory was born!!! I contacted FPEGF and I spoke with Loans Manager Fabian Sanderson. I told him my concept and even though he was a male who knew nothing about makeup, I was surprised how well he responded to my idea. I will always be thankful of how supportive he was about my business concept from day one. I knew I was in capable hands and I trusted that he would help me get the funding and financing I needed to make my dreams come true. Without the support from FPEGF, my vision would have not been possible. I now have a business with purpose to help women open their own businesses. I love what I do and how I can impact the lives around me. I am so proud to be able to be a source for Makeup Artistry so that we keep aspiring Makeup Artists here in Winnipeg, instead of relocating to another city to pursue their dreams. It has always touched my heart when a women feels good about herself and I now have the resources to do just that. The entire team at FPEGF are very helpful and supportive. They are always happy to see me and treat me like family. I would like to thank Amara Waddell for her friendly client service. I wouldn't think of going anywhere else for financing or business support. I hope to have a lifelong relationship with FPEGF and couldn't be more thankful for their belief in me and their outstanding support. Aanin, my name is Mavis Sinclair and I am from Sagkeeng First Nation. 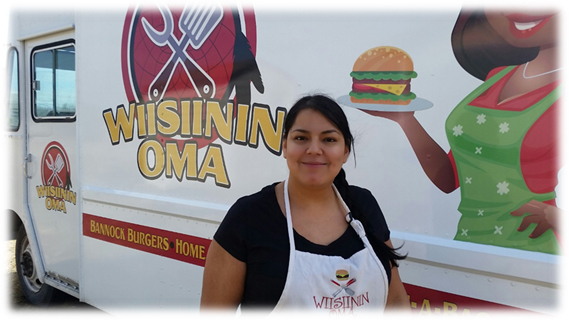 My business name is Wiisiinin Oma. In 2012 I started selling food at our local Pow Wow using only a tent and some tables. I brought a fridge, freezer, Bar-B-Q and some food warmers to cook. The next year in 2013, I did the same thing, but then moved my stand to Brokenhead Pow Wow. I started watching shows on Food Network and was inspired by the people who would sell food out of their food trucks. I thought I would love to sell bannock burgers on the Pow Wow trail. In January 2014 I decided that I was going to get my own truck and sell food. I called Sagkeeng Economic Development where Jeff Courchene gave me a few contacts to call. I talked with someone at Southeast Development and they told me about First Peoples Economic Growth Fund (FPEGF). I called FPEGF and talked with Fabian Sanderson and he gave me a run down on how the process works. He was my main contact at FPEGF. Fabian was very patient and helpful. The process of applying for financing through FPEGF was a long one, there was a lot of details to work through. The whole process was about 7 months and I wouldn't have my business if FPEGF wasn't there. If I had not received funding from FPEGF, I would have applied for a loan with a bank. FPEGF was my first choice because of the interest free loan, their willingness to help and guide me in the right direction. My business is going on its third season. My business is doing well. It is a lot of hard work but I love it. I love travelling to Pow Wows and selling my bannock burgers. So watch out for me at the Pow Wows and come and eat some good food. Thanks to FPEGF for all the help and making my dream of owning a food truck possible. Meegwetch. See you on the Pow Wow trail. Thanks to FPEGF for making my little dream possible! My name is Brenda Parsons a member of Peguis First Nation in Manitoba. I own a small print and design shop in Winnipeg operating as All Nations Print Ltd. incorporated February 2002. We built the business to $500,000+ and were looking to expand to the next level. Upon investigation of what the marketplace had to offer we found exactly what we were looking for - an environmentally friendly Presstek 34 DI press. There were several issues to overcome prior to purchasing this equipment, especially obtaining the capital for this expensive machine. We looked into what FPEGF had to offer and found their loan program and flexible terms were exactly what we needed to convince another lender to extend the other 50% required to purchase the equipment. The FPEGF loan program was instrumental in obtaining the required financing to expand the business to the next level where the possibilities are endless. The staff and management of FPEGF are professional and easy to work with. We are thankful for the opportunity FPEGF has opened to All Nations Print Ltd. through their loan program and highly recommend them. Oliver Owen - Amik Aviation Ltd. 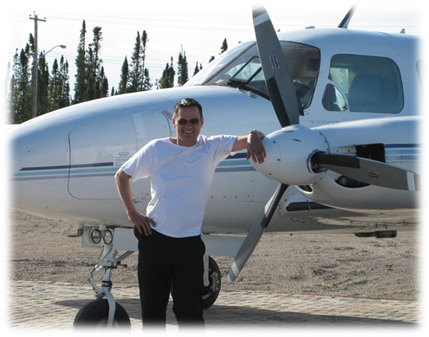 I wanted to provide an air transportation service to First Nations people who live in isolated Northern communities. The people of Little Grand Rapids and Paungassi First Nations are entitled to exceptional customer service - I wanted to be the one that delivered that type of customer-focused service. In addition to being the sole owner of Amik Aviation Ltd., I manage the day-to-day operations of the business and assume piloting responsibilities. I have worn many hats in the aviation industry over the past 27 years as manager, pilot and owner. Hearing about FPEGF, I approached them for financing because most financial institutions see Aboriginal business as high risk and have not been willing to take a chance on me. At FPEGF, I worked with Daryl Bone, Senior Loans Manager, and found him to have an open mind while working with the other lender to ensure a successful merger. We currently provide daily scheduled passenger and cargo service to the First Nations people of Little Grand Rapids and Paungassi First Nations. They are picked up directly at their community on our Amphib Caravan. I am fulfilling my vision for exceptional customer service, thanks to FPEGF. My Name is Blair Owen and I'm a member of Little Grand Rapids First Nation. I started Owen's Cash and Carry in the community 8 years ago as a grocery store operation. I started the store in a 40-plus-year-old building that my dad had previously operated out of over the years. In 2011, I decided it was time to expand the business so we could better meet the needs of the community. We had heard about this new MB First Nation financing, which turned out to be FPEGF. I first applied through their Business Plan Assistance Program to do a business plan for the expansion. This funding was approved and I was on my way to realizing my dream of expanding my business, not only to offer more products to the community and better customer service, but to also offer more employment opportunities for local community members. Having a business on a First Nation, no traditional bank would even look at financing my expansion. I worked closely at first with Daryl Bone and then Tom Thordarson, Senior Loans Managers, first with the business plan development to making sure that the expansion would be a success and then going through all the steps to having my funding request approved. I applied through the Entrepreneur Loan Program and also the Business Contribution Fund. Through these two programs I received an interest-free loan and a non-repayable contribution to expand my operation from a 700 square foot building to a brand new 2,000 square foot building with a gas bar operation. 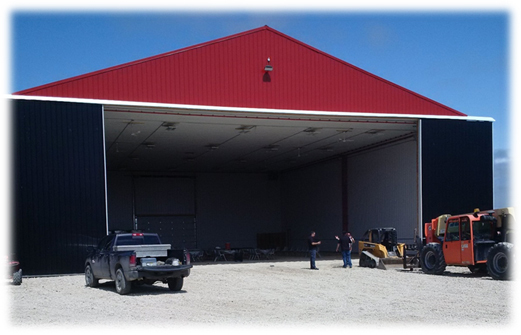 We started construction in May of 2014 and were operating out of our brand new building by mid-November 2014. Since our reopening we've had nothing but positive comments about our expansion. If it wasn't for First Peoples Economic Growth Fund, my business wouldn't be where it is today. I'm currently looking at expanding my business again and I wouldn't hesitate to approach FPEGF for financing. Expanding once more would allow me to offer even more products to the community and allow me to employ more local community members. I'd like to thank Daryl Bone, Tom Thordarson and Fabian Sanderson and all the staff at FPEGF for making my business dreams a reality and also the community of Little Grand Rapids for making my business a success. 7 Acre Wood Animal Boarding Kennel is currently under construction and should be completed and open for business in the fall of 2014. The kennel will provide boarding services for 18 dogs, 6 cats and small animals. The business will eventually expand to include grooming services as well. When we began this journey of starting a business, we had so many questions but were not sure where to find answers. I went to the local Canada Services office in Morris, MB, and that's where I was introduced to FPEGF. After many conversations with FPEGF staff, we decided that FPEGF was our only option for lending services. It was a long process with plenty of footwork on my part, but worth it in the end. When our plan was approved we wasted no time and began our building project the next day. If it were not for FPEGF, our dream of opening a kennel would still be a dream. Instead, the staff, loans officers and Board helped make our dream a reality. We will draw most of our clients from urban centres since the population here is sparse and mostly agriculture. However, the construction of our building is drawing plenty of attention from residents in Morris and those driving by. I believe our business will have a positive impact on the local community and we hope to contribute back also. I have told everyone that I know about FPEGF and what they have done for us. And in the future, if we choose to expand this business or start something else, I know that I can count on FPEGF to be there for us. My name is Chantal Daniels and I am the proud owner and operator of Red Cedar Gifts which specializes in authentic Aboriginal handmade products and unique gifts. The store supports other Aboriginal artisans, carrying high quality products including jewellery, key chains, bead work, home decor and more. 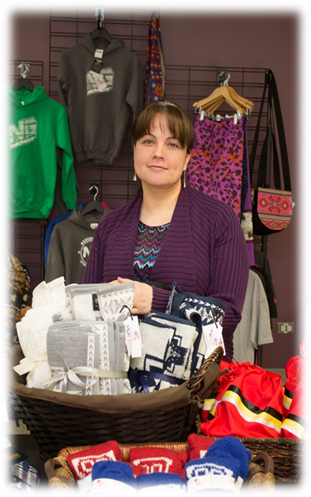 Red Cedar Gifts features Pendleton Woolen Mills jackets, purses and bags, dishware, towels and blankets, as well as, Aboriginal owned bath & body lines Sequoia and Mother Earth Essentials. I first learned to sew over 10 years ago from my Auntie and it became a hobby for a number of years. During that time I continually grew my client base. This well-established client base allowed me to transition to work at it on a full-time basis. I made the decision to take my business to the next level and move into a retail location. 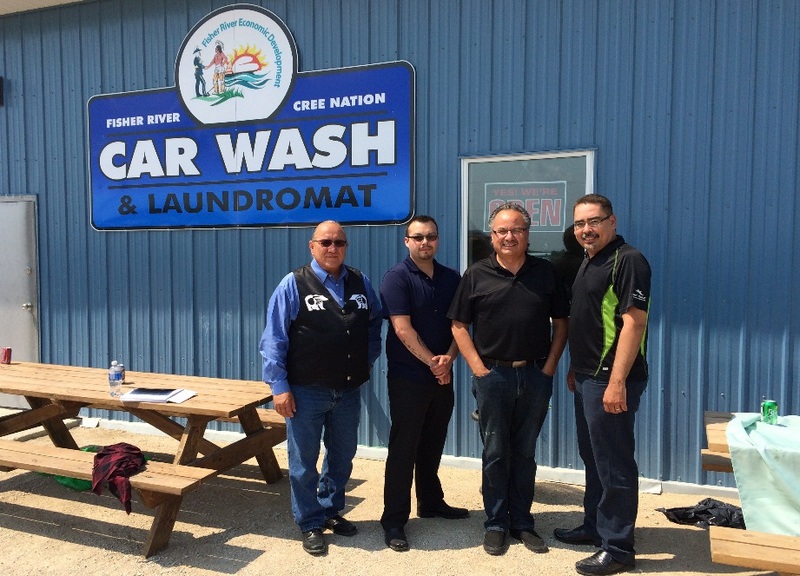 FPEGF was one of the few financial supports targeting First Nations-owned businesses. I knew that expanding Red Cedar Gifts into a retail location would require financial assistance and was drawn to FPEGF as they had supports for businesses throughout all the stages. Initially I started with receiving financial assistance for my business plan to ensure I had a strong foundation to start from. Then I applied for the financing which allowed me to bring Red Cedar Gifts into its new retail location, making it accessible to everyone. Red Cedar Gifts is proudly supporting many people in the Aboriginal community. Currently, we have seven Aboriginal staff in the store and support many more Aboriginal artisans not only in Winnipeg but in Manitoba and across Canada. Through the classes we offer, we are able to transfer the knowledge and teachings that so often accompany the artistries of our people. We have been honoured to work with programs for Aboriginal youth, assisting these youth in their own personal growth by exposing them to teachings and artisans they may not have had the opportunity to experience. Without FPEGF I know Red Cedar Gifts would not be where it is today. The financial support I received truly was the catalyst in allowing me to take Red Cedar Gifts to the next level. Red Cedar Gifts is growing every day! The opportunity to expand our clientele to Winnipeggers, Manitobans and Canadians has been a direct result of the guidance and support I received from FPEGF. 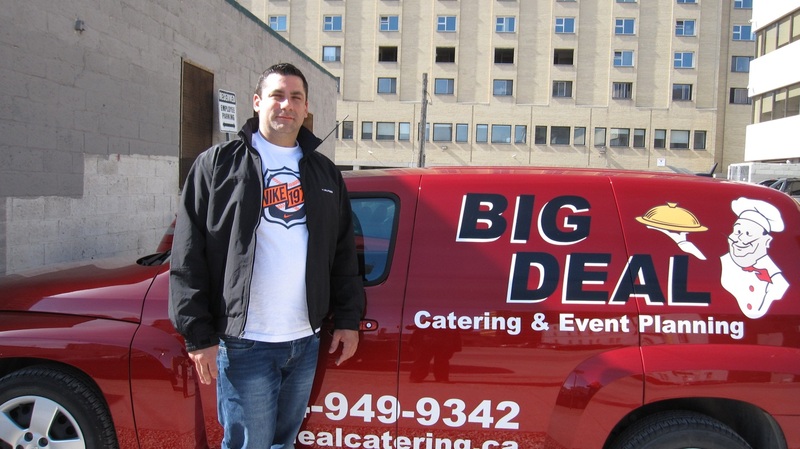 Big Deal Catering is a Winnipeg-based First Nation owned and operated catering business. We started business in the fall of 2011 and have been very successful in serving a large and diverse client base throughout the city. Big Deal Catering also provides food services for my existing business - a nightclub and restaurant in downtown Winnipeg. I have owned my business since 2001 and felt that I had not fully realized the potential of the business in regards to food sales. I decided that the natural and logical step to expand my company would be to include a catering service that would allow me to reach that potential. In 2009 I attended a conference which included a presentation by FPEGF detailing the assistance they could provide. Shortly after the conference I arranged a meeting at their office and spoke to the staff. They were able to financially assist me in finalizing a business plan and by providing a loan that was instrumental in getting me to the goal of expanding and renovating my space to include Big Deal Catering. This accomplishment would not have been possible without the support and assistance of the FPEGF staff and especially the guidance and advice I received from Senior Loans Manager Daryl Bone. I am thankful and grateful that such an organization exists to help First Nation people achieve greater business success in the community! Dreamcatcher Promotions would first of all like extend a huge thank you and express our gratitude to First Peoples Economic Growth Fund staff, management and Board of Directors for their assistance and overall contribution to the growth of Dreamcatcher Promotions. Dreamcatcher Promotions' business concept was to become an established, reputable and successful business and service provider in the promotions sector providing promotional items and apparel to the Aboriginal communities/organizations and business/corporate sector. It is our intent to provide a quality of service, which serves to excel to our clientele expectations, while seeking to expand our services, and be able to provide employment opportunities to others. Like many entrepreneurs, the process of starting to plan for our business required preliminary research, and several scopes of work with various objectives enhanced our realization - that there is a wide array of commitment required to complete such an endeavor of becoming a small business. We approached FPEGF and inquired about the services they had to offer their target audience. They were very helpful and were able to provide a free consultation on an overview of their services and roles. Upon reviewing FPEGF's requirements, we committed to meeting their expectations and necessities required be considered as a qualified applicant. Our engagement was via the Business Plan Assistance Program. Working with the business planner we set to complete tasks such as the business overview, industry overview, marketing strategy, management experience, staffing, estimated project costs and financing. This task required some idealistic research and work. The onus was on us to complete these tasks at hand. Overall, it was a very eye-opening and valuable learning process. It surely surmounted our knowledge and vision as the extensive processes, responsibilities and matters relevant to successfully planning, operating and owning your own business. Upon completing the business plan we applied to FPEGF's Entrepreneur Loan Program and Business Contribution Fund. Once again, upon meeting the requirements, we began the process of having to complete not only the application process but the work and engagement of the activities required to plan, design and implement our business plan. Our key areas of need were marketing and capital enhancement. We strengthened and solidified the means to address these fields by increasing our supply and equipment required to carry out our unique service. Furthermore, we were able to develop and implement a marketing strategy to strengthen our presence in the current market. Overall the entire experience was very helpful, insightful and allowed us to realize the parameters of becoming entrepreneurs in today's economy and markets. In conclusion, First Peoples Economic Growth Fund served as excellent overall contributor in an advisory capacity, and they were resourceful in all aspects required for Dreamcatcher Promotions to establish and sustain a successful business. Being involved in the Heavy Equipment Industry for many years, my dream of owning my own construction company became a reality thanks to FPEGF. I began working on a business plan and, through my consultant, became aware of FPEGF and their loan programs. FPEGF assisted in the development of the business plan and, upon completion, assisted in the financing of my business. I worked with staff the of FPEGF, who were instrumental in ensuring the business plan was completed properly prior to securing any loans. Once approvals came from FPEGF, their staff continued assisting Gazee Construction in obtaining other term loans required to commence operations. Equipment was purchased prior to the November 1, 2010, deadline to secure the contracts and work commenced shortly thereafter. Gazee had secured contracts for the equipment, and the transition to work was made easy. If not for the time and effort of FPEGF staff, I would never have met the deadlines required to have the equipment in ownership in order to secure the winter contracts. It has been a great year, with a very successful winter behind us and spring/summer season in front of us continuing successfully. I couldn't thank FPEGF staff enough for their assistance, both financially and for their advice. I approached FPEGF with a plan to purchase and expand an existing business. I was new in the small business world and found the staff at FPEGF able to assist me greatly in getting the required information and professional help needed to do valuations of the campground located in Grand Rapids, Manitoba, and to do a proper business plan for the intended future development of the business. Most of the work I did with FPEGF was with Daryl Bone, Senior Loans Manager. I found Daryl easy to speak to, full of information and ideas on how to develop the business and what to look for in professional help with the valuation of the business and setting forth a business plan. Daryl and all the staff I met at FPEGF were easy to speak with. The staff made the application, valuation and planning of the business as simple as possible for a newcomer in the small business world. Overall if someone is willing to work on the development of a business and provide information, the staff at FPEGF can be of great help with funding and getting a prospective business the support it requires. Manto Sipi Cree Nation - Manto Sipi Construction Ltd.
Manto Sipi Construction Ltd. is a construction company located in a fly in First Nation community in Northern Manitoba. The construction company builds cabins, homes, commercial buildings, decks, floors, etc. Funding was required to build two new cabins in the northern community to further the economic development of the community. Manto Sipi Construction Ltd. was created to carry out this new business endeavour. Manto Sipi Construction Ltd. approached First Peoples Economic Growth Fund (FPEGF) for financing in order to further economic development activities in their northern community. These two new cabins formed additional places for visitors to stay as part of God's River Lodge (an economic venture that has existed for many years in the northern community). By word of mouth, Manto Sipi Cree Nation had heard that FPEGF was willing to work with First Nations and help them further their economic ventures. Senior Loans Manager Tom Thordarson met with the Chief and Council and laid out all the requirements necessary in order to apply for a loan and a grant. Financing from FPEGF's Business Plan Assistance Program helped with the development of a comprehensive business plan as well. From the onset of the project, through the stages of cost estimates and contract negotiations, and with the completion of the financing, FPEGF's level of professionalism impressed the First Nation. We felt a high level of trust dealing with FPEGF. I am certain that other First Nations and companies would benefit from the financing offered. 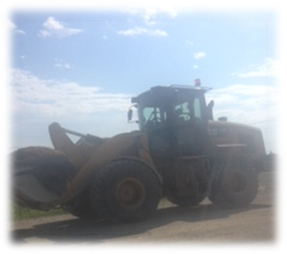 Manto Sipi Construction Ltd. was able to purchase heavy equipment to help build the cabins it needed. Through the funding, the First Nation experienced economic growth, employment opportunities, and an expansion of training opportunities. I recommend FPEGF to other First Nation businesses as they have helped further the economic dreams of Manto Sipi Cree Nation and made them a reality. We wish FPEGF continued success in the future. They offer a unique business opportunity to access funds not normally available from financial institutions. The first Urban Reserve within the city limits of Winnipeg has proven to be a very valuable economic zone for Long Plain First Nation. 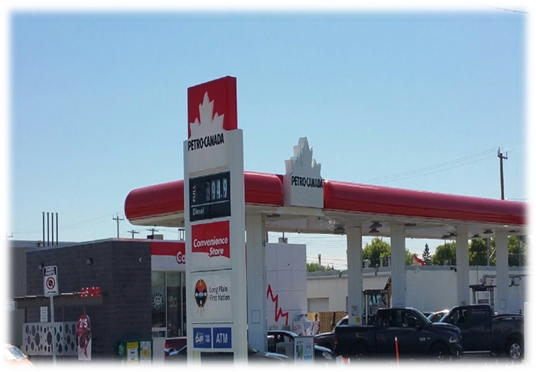 With the help of our partners Suncor and First Peoples Economic Growth Fund (FPEGF), Long Plain First Nation opened the Madison Petro-Canada on February 23, 2015, in the City of Winnipeg. The staff of FPEGF understood our needs and challenges and shared our vision in developing the first Urban Reserve in Winnipeg. Today the Madison Petro-Canada has surpassed all of our expectations and we are proud to share with other First Nations a roadmap to economic development. We acknowledge the staff of FPEGF and we will continue to work with them on other important economic development projects. Fisher River Economic Development Corporation (FRED), along with leadership, has been involved in and serves as a catalyst and facilitator for economic development for Fisher River Cree Nation and its members. The corporation creates new revenue streams through its oversight, investment and partnerships in business. With the announcement of First Peoples Economic Growth Fund (FPEGF), the Cree Nation through FRED celebrated another opportunity to access an additional funding stream. 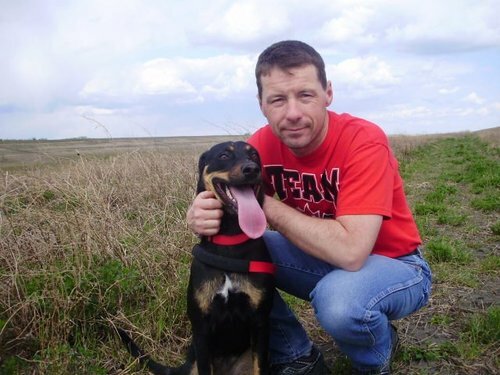 FRED approached FPEGF as they provide a unique opportunity to access funds not normally accessible from regular financial institutions. Since FPEGF's inception under the Assembly of Manitoba Chiefs, frontline individuals such as Ian Cramer, Tom Thordarson and Fabian Sanderson have been very supportive of FRED and we have developed an excellent relationship with them. Financing attained through FPEGF's Business Plan Assistance Program resulted in the development of a comprehensive business plan. This then facilitated a successful use of FPEGF loan and non-repayable contribution financing and the development of ongoing projects within our community. FRED's use of FPEGF financing has seen economic growth, an increase in employment opportunities and an expansion of training initiatives. With the success and support received from FPEGF, without hesitation we would offer references to our fellow First Nations and Joint Venture partners. We wish First Peoples Economic Growth Fund continued success in the future. 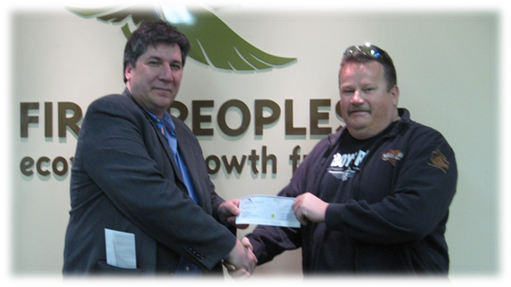 Thank you for your recent approval toward our Skownan Business Centre loan. As you are fully aware we have been pursuing the start-up of our community business centre and now it has become a reality with the approval of our loan application with your program. We are still awaiting for approval from INAC and ABC, however we feel very confident that it will be approved very shortly. We are motivated with the determination and vision to develop a strong economy by creating community owned businesses. We see economic development as a means to grow by developing businesses in and around the community through various economic activities under our much needed Business Development Corporation and Centre. We are determined to promote prosperous and innovative, competitive, and eco-efficient economy within our community as this will promote the idea of higher standards of living, employment and wellbeing in our community. My name is David Kobliski, General Manager for NCN Development Corporation. We began negotiating a 10 year lease with the owners of the Thompson Plaza in 2012 for a 24,000 square foot space to own and manage a grocery store which we were successful in acquiring. Our goal was to provide employment, product and service to the City of Thompson and surrounding communities. And whatever profits made would go to reinvesting in new opportunities or programing for the Community of Nisichawayasihk Cree Nation. 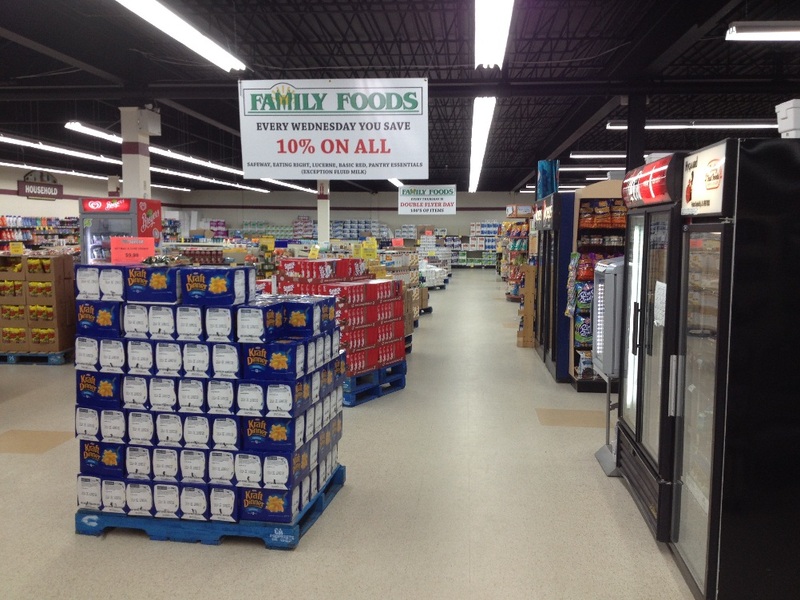 The store had its grand opening July 19, 2013, and is doing very well now that we have gone through our growing pains. There are currently 30-40 employees from the City of Thompson and surrounding communities. We would like to thank FPEGF for providing an interest free loan of $300,000 for this project. As Chief of War Lake First Nation, it was my privilege to participate in the Grand Opening of Mooseocoot Gas Bar & Convenience Store on May 28, 2010 - a much anticipated day in our community. The days of having to travel to Thompson, about 140 kms away, to purchase food items and fuel are few and far between now. 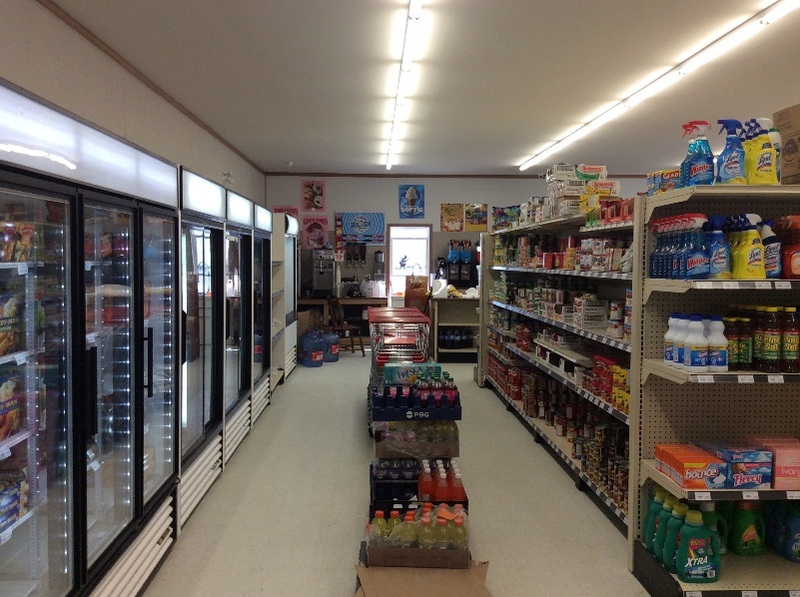 Prior to the development of this facility, at every community meeting for the past four years, War Lake First Nation Members listed their number one priority to be a convenience store in the community. Currently the store is doing very well and the community is very supportive - the supply orders have to be submitted every two weeks to keep up with the demand! This business assists in creating a sustainable economy in the community by providing employment and basic services where there were none. In addition to the construction of the main building, a two bedroom house was built on the site. The mentor manager currently rents these accommodations and during his two year contract he will have the added responsibility of training a community member to take over management of the operation. The house also doubles as a motel when not in use, and at the end of the mentor manager's contract it will be used as a motel permanently. We came to FPEGF for an interest-free Community Economic Expansion Loan, and I feel that if we had not received this financing the store would not have been built. The staff and Board of FPEGF understand the needs of isolated communities - the establishment of essential services which are as readily accessible as they are in urban areas.